To date, the population of Mongolia is estimated at 2.8 million people. 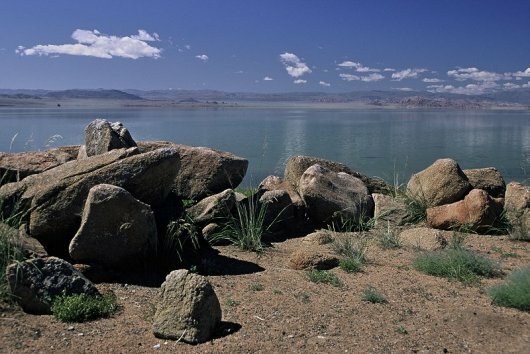 Mongolians inhabit all corners of the country, including the harsh landscape of the Gobi desert. Because Mongolia is considered a poor country, there is a large nomadic community where people are constantly traveling across the harsh terrain in search of a better opportunities and living situations. The capital city of Mongolia, Ulaanbaatar, on the other hand, is where civilization becomes more apparent and complex. Most people in this city live in Soviet-style apartments and therefore, the over-all ambience of this area can be less pleasant to hardened travelers. Known as the “Land of Blue Skies”, Mongolia has one of the hottest as well as the coldest climates in all of Asia. Because of the lack of access to more advanced technology and trends, Mongolians content themselves with what their country has to offer. Shopping is done in the nearest Tuts (or street markets) where one can find all basic goods and foods. For smaller towns, these are the only places where inhabitants may buy imported goods. Mongolia covers 1,566,500 square kilometers of land, but only about 2.4 million people are settled in this country. Because of the arid weather, many parts of the Mongolian boundaries are not ideal for residence. Most of the country’s territory is covered with deserts, mountains and steep plains. The two biggest mountain ranges are the Altai Khangai and Khentii. These magnificent rocky mountains, on the other hand, are a source of clean waters and streams. 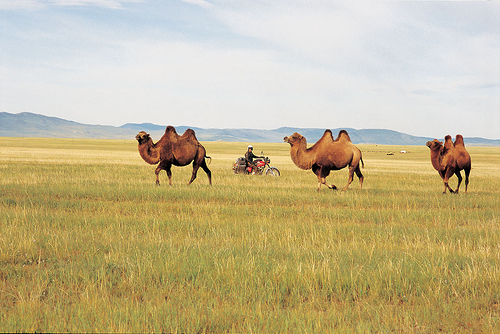 The Gobi desert is the most popular desert in Mongolia and covers thousands of kilometers. Recorded history of Mongolia dates back to the 3rd century B.C. when the Huns took power over many of the nomadic tribes, but because of illiteracy, very few historical records were kept. There were several other empires that ruled in Mongolia after the Hun Nu. These included a Turkish empire during 650AD, the Ughur Empire and the Khitans. The Mongolians struggled for power over their land up to the time of the Genghis Khan. 1. 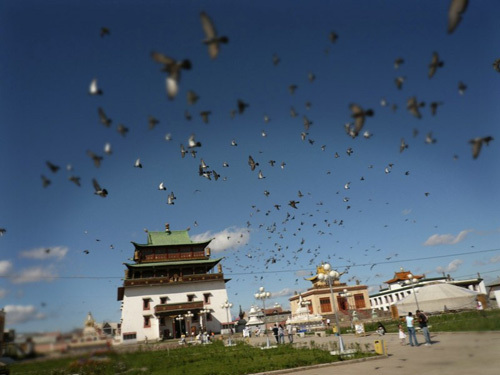 Sukhbaatar Square— located at the heart of Ulaanbaatar, this is where many historical statues are located. A large statue of Sukhbaatar, a famous patriot, can be found here. Surrounding the Square are important places such as the Stock Exchange, the Parliament house, the Drama Theatre and Cultural Palace. 2. Choijin Lama Monastery— this is a classic temple designed with the traditional and classical Buddhist architecture. This served as the home of Luvsan Haidav Choijin Lama. This now serves as a museum for collections of Buddhist artworks, tsam dancing masks and original silk icons. 3. Bogd Khan Palace Museum— this served as the home of Mongolia’s former king, Javzan Damba Hutagt VIII. Like the Choijin Lama Monastery, it has a collection of Javnzan Damba Hutagt, which is comprised of gifts from other rulers of the world. 4. The Zanabazar Fine Arts Museum— this exhibits a collection of art works made by prominent artists and painters, including works from the ancient era up to modern times. This museum houses several rock inscriptions, embroideries, and costumes of the ancient people. The most valuable possession of this museum is the collections made by Zanabazar, a renowned artist and sculptor. Zanabazar was the first ruler of Mongolia. What is quite enjoyable for Western visitors is that Mongolia is relatively cheap and thus entertainment is easily accessible and affordable. All different types of entertainment appear for the seeking tourists and visitors at night, including jugglers, dancers, and theatrical performances. Additionally, there is an endless supply of restaurants, discos, bars and clubs, mostly with comforting western names. This makes it easier for foreigners to make their way to their preferred destinations. If you get lost or confused though, there are always English speaking locals who are ready to help tourists. The Mongolians are known for their hospitality. In fact, when guests arrive, traditional offerings are served in honor of the guests’ presence and to show that the hosts are glad to have visitors with them. Religiously, the culture of Mongolia has evolved over thousands of years. Buddhism is spread widely in this country, which is why the majority of Mongolians follow Buddhism beliefs and doctrines. More than 750 temples and monasteries have been built since the 20th century, although many were destroyed during the People’s Revolution. As mentioned earlier, the people of Mongolia are used to a nomadic lifestyle. 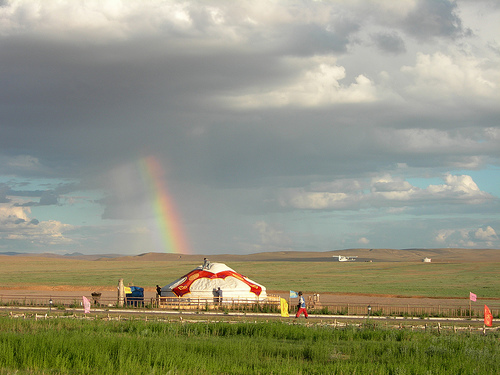 Because of its climate and agricultural concerns, Mongolians are used to having many multiple, non-permanent homes; in fact, this is one of the very few countries which include nomadic lifestyle as a living tradition. The common Mongolian cuisine consists of sheep’s meat. Yak also hits the menu occasionally, although most of the Mongolian dishes are made with favored sheep’s meat. Traditionally, meat is sold in large chunks, without much attention to specific cuts that most tourists have been accustomed to. Vegetarians are not advised to go to this meat-loving country, or if they do, should be prepared to eat some type of meat. Other staple foods in Mongolia include dairy products such as fresh milk and yogurt. These are excellently made and are available for most of the year. Fermented horse milk, or known in Mongolia as Airag, is an unique and expensive delicacy.